encore Deals! 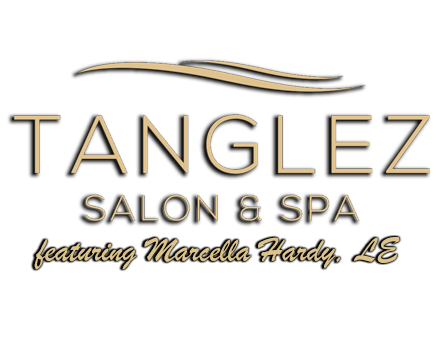 | Services from Marcella Hardy at Tanglez! Services from Marcella Hardy at Tanglez! One deal per party/customer enforced. Not valid with other offers; no cash back. May be used toward any esthetician service Marcella Hardy offers at Tanglez Salon and Spa: facials, bikini waxings and beard treatments. Not valid with other Tanglez Salon offerings. Call 910-392-8111 to make an appointment and please mention you have an encoreDEALS gift certificate. This gift certificate is only good toward Marcella Hardy services—facials, bikini waxings and beard treatments. Not valid with other Tanglez Salon offerings. Expires July 31, 2019. Only one per customer per visit. Marcella Hardy has been voted Best Esthetician by encore readers for three years running: 2016, 2017 and 2018. Marcella is a medical esthetician with over 19 years experience. The encore Deal of the Week is good toward any of her services, including waxing, facials, beard treatments, etc. All skin types are welcome! Men’s and women’s services are offered. Call 910-392-8111 to make an appointment.